" To support, promote and enhance the music programs within the Plymouth Public Schools through a collaborative effort with the VPA, music staff and school administrators; by offering our time and talents to organize and run fundraisers and events for the benefit of the program, the staff and the students; resulting in opportunities for students in the music program which would otherwise be unavailable." 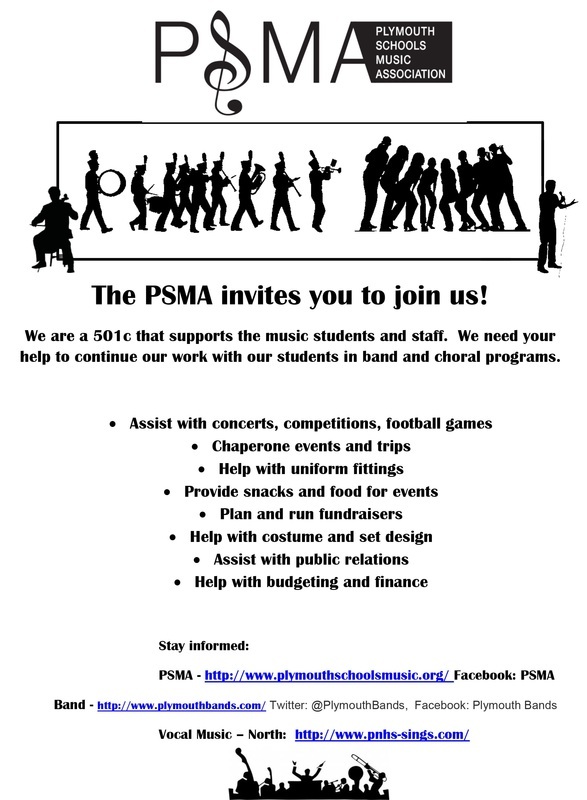 Please come to a Plymouth VPA music event or drop in to one of our meetings to see how you can help! For more information, contact psma.inc@gmail.com.